Activating WinRM can significantly improve the performance of vScope discovery. 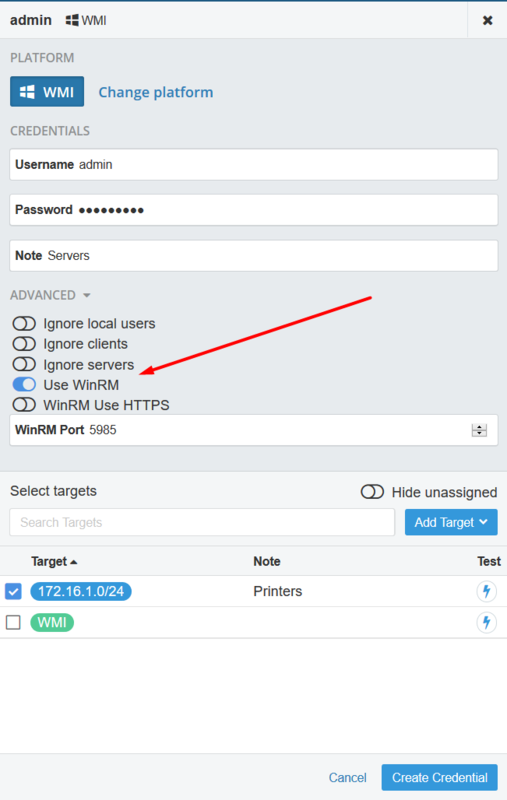 This feature enables discovery to use either WMI or WinRM. When possible, vScope will use WinRM and WMI will only be used as a fallback when WinRM is not available.